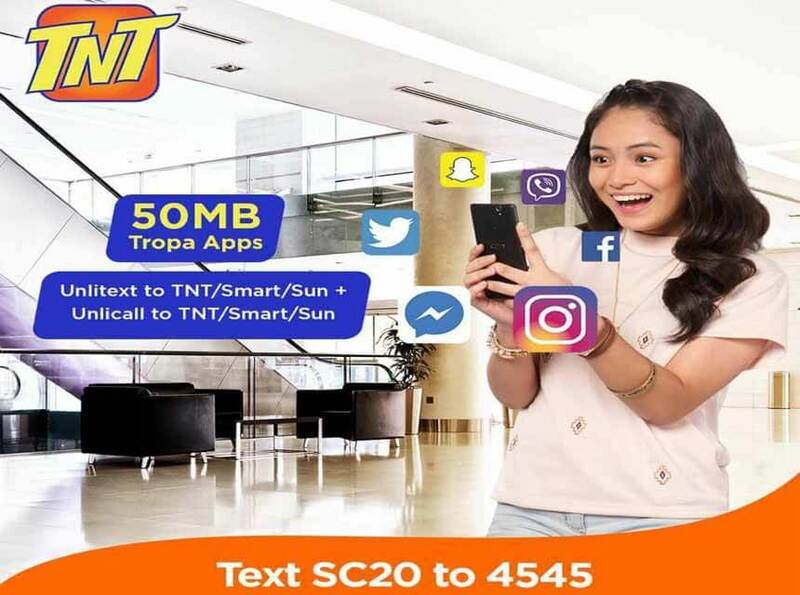 Call and text your friends and love without worries with the latest Talk N Text Super Combo 20 or SC20 promo for only 20 pesos. You can enjoy calling and texting within three (tri-net) networks for as low 10 pesos per day. Plus, you also have additional access to your favorite app, e.g. Facebook, COC, Twitter and more with its free 50MB allocated data. 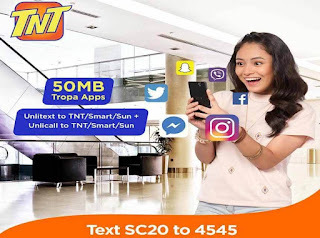 Not stop calling and texting with your Tropa not just within TNT subscribers, but also to Smart and Sun Cellular users. All of that made possible in just one promo called Super Combo 20. Registration can be done via SMS text using the keyword or you can also request to your load retailer to directly load it on your mobile number if possible. You can follow the sample format provided below as reference in case you’re interested to enroll or subscribe to subscribe to SC30. Here’s more about this kind of promo, SC30 is an option you can register that offers free FB for 3 days. It only gives you unlitext and limited minutes of call unlike TNT SC20 that give you unlimited service for 2 days. For more updates and latest promo about Talk N Text posted on this blog, you can search by simply browse Talk N Text category or use our search bar. Can this promo be extended using extend to 4545? Bkit hndi nkakatawag yung sc20 sa ngaun? hanggang kelan nlang po ba yung promo nato?